Just for fun, I decided to change the “Versatile Blogger Award” rules so that winners now have a choice of displaying either Kit Harington’s abs or Scarlett Johansson’s pecs. Not long ago I was nominated as a “Versatile Blogger” (many thanks, Perry of Armitage Agonistes!). It was a thrill because I used to worry that my blog was perhaps too unfocused to attract a regular set of readers. After all, how many people out there share an interest in all the things I write about, from rapini to Ralph Fiennes to rosé to ancient Rome? 24/7 in France: Kim’s blog is a visual feast, a virtual vacation in the south of France. Written by a former French teacher who now lives in that fabled seaside garden of thyme and violets, it is part travelogue and part chronicle of a life well-lived. She posts on everything from fashion to food to the French language, conveying the true flavors of this lovely corner of the world. My favorite post so far is about the Festival of Violets in the medieval town of Tourrettes-sur-Loup. E. Let me put it another way. Under no circumstances could a firm like J. W. Arrowsmith even contemplate publishing a full length volume about a river unless you’re prepared to drown a woman in it. J. Why do I have to drown anyone? E. You need to drown a woman. The plot is impossible otherwise. J. What ‘plot’ did you have in mind? This isn’t House of Cards? E. House of what now? J. Sorry, getting ahead of myself again. E. Are you sure you’re a Victorian? Sure you’re not a Georgian or an Edwardian? We Victorians know what we like and we like a drowned woman. If we see a river, we expect to see a woman drowned in it. Crystalchandlyre: You might not think to describe a blog devoted to Richard Armitage as versatile. But you’d be wrong. Crystal has interesting things to say about wine, and books, and dreams… Reading a fan blog is an intimate glimpse into the psyche of another person. In this case, I discovered that we have a certain eerie affinity in all things potable, culinary, musical, literary, and masculine. Plus, it has to be said that Mr. Armitage is swoon-worthy. I have since come to know and love several Armitage bloggers, like Agzy, Perry, and Obscura— all of whom taught me something about fandom in the age of social media. But Crystal’s blog was my introduction. Expat Eye: This chronicle of an Irishwoman’s jaw-dropping adventures in Latvia always has me laughing and wondering what comes next. I look forward to her wry reflections on the local culture, and especially her ethnographic observations on the strange behavior of Latvian men, all of whom seem to be named Jānis. I also love it that the comments in this blog regularly circle back to wordplay about giant penises. Lady of the Cakes: Linguistics, photography, razor-sharp wit, and CAKE. What could be more versatile ingredients for a blog? Simone says she doesn’t bake, but she’s a pasty chef of the written word, serving up delectably-written posts interspersed with stunning photographs of sunsets in Toledo, Spanish tapas, and an unbearably cute pug. Don’t miss her vacation in Key West, featuring one woman’s determined search for the best slice of Key Lime pie in the islands! Peak Perspective: Shelley lives on top of a mountain in the Blue Ridge. Her blog is a beautifully written evocation of a life filled with family, friends, music, laughter, food, and love– all set against the background of the changing seasons in Virginia. What I appreciate most is the poetry in her prose, and her love of whiskey! She’s funny, too. The blog is illustrated with minimalist, charming cartoons by Robin Gott. The Wine Wankers have been favorites of mine since I first checked out WordPress, and I have followed their blog as it exploded in popularity, as well as their move to Twitter. There’s a reason they have so many followers. It’s fun to read about the treasures they have brought home from wine auctions, how to choose wine for a table of twelve (by new Wanker Ben! ), and what wine to pair with Domino’s pizza. The Wankers have a great sense of humor that’s especially notable on their Twitter feed. Plus, the only post I have ever re-blogged was one by Conrad! Three Generation Watercolourists is balm for the soul. Carolyn and Judy blog from Alberta, Canada about painting (with beautiful images of local fossils), photography, children’s art, and (dear to my heart) miniature books! The color on the blog always catches my eye, whether it’s images of a cute beagle tucked up in bed, a Hawaiian vacation, curly maple cabinets for tiny books, or Alberta in the depths of winter. I am looking forward to seeing spring reflected in this lovely blog. Write a post and link back to the blogger who nominated you – that’s me! Now to the Seven [Mildly] Interesting Things. 1. My first crush was a third-grader named Durwood Reddick. 2. I did not learn to drive until the age of 30. 3. As a girl, my ambition was to be either a cartoonist or an archaeologist. 4. I have had two conversations with Ciarán Hinds. 5. One of my ancestors came to America on the Mayflower. 6. ABBA is one of my many guilty pleasures. 7. I share a birthday with the emperor Augustus. 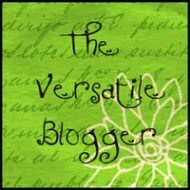 Linnet has accepted her Versatile Blogger award and 10 enticing blogs, including Crystal Chandlyre. I’m really looking forward to exploring Linnet’s nominations – there’s even on on watercolorists. My pleasure! Thanks for all the laughs! I’ve missed those lately…. once homophobia week is over, can we get back to giant penises again??? MERCI, Linnet, for the award and for your readership – I am truly touched to be part of this blog list and wish you all the best for yours! Aw, thanks for the glowing p(l)ug Linnet 🙂 I love the eclectic mix of topics on your blog! Great choices all of them! I read a few already, but now it looks like I am going to have to spend a little more quality time with some new (to me) writers! Thanks! They’re all good fun. 🙂 I’ll be lurking from time to time still. And thanks for the re-blog! 🙂 And thank you for thinking of me. It’s always a win win when a blogger gets awarded something like this and labors through creating a post to fulfill its requested requirements. Firstly, we are introduced to a bucketload of other terrific writers, and find that doing laundry and making dinner are just going to have to wait – let the family fend for themselves. Secondly, we’re given more of an inside scoop on the real person behind the author. Fascinating stuff, Linnet. And now I’m determined to name my next dog Durwood Reddick. Poor thing! I guess it might be OK for a dog, but for a kid it’s WAY worse than being a Boy Named Sue. I hope that what did not kill Durwood made him stronger. Sadly, I lost track of him, but have cool memories of him pushing me on the swing. Now, that’s Romance! Reblogged this on 24/7 in FRANCE. Thank you so much Linnet for thinking of us and even moreso for your kind words. Although we’ve probably got a couple more bloggers following us since you joined WP I make sure to visit you from time to time as you’re one of those I clearly remember supporting us from the earlier days, something I am very greatful for. As a team we decided after our first award that we would abstain from participating but I must admit, this is as close as I’ve come to actually writing one. Thanks Conrad! It’s been such fun watching your journey with blogging and enjoying the Wankers posts. Looking forward to many more. I have already responded to you on my blog, but I really have to say here how floored I am once again for your kind nomination. At the risk of sounding like the mutual admiration society, yours is the kind of blog that I would also call extremely versatile, as it manages to be such an interesting read on such a variety of topics. I am maybe easier to please than some – all you have to do is talk beautifully about food, wine, books, movies, theater and men, and I am sold.This blog has never been one to disappoint. Your blog flows with such a variety of interesting of topics and you write on them with such ease – it’s like being a guest made comfortable in your home. Yours will always be on my list for reads, even if I don’t always have time to comment (my work schedule is such that I can’t predict, being self-employed). I can’t thank you enough, Linnet, for taking the time to write and share the way that you do. There is a very nice list of bloggers here, and I really, really could not recommend Linnet Moss’ blog highly enough. She does me a huge honor that I can not ignore with not re-blogging. He’s positively gorgeous and I love the movie! Did I mention how handsome Kit is? 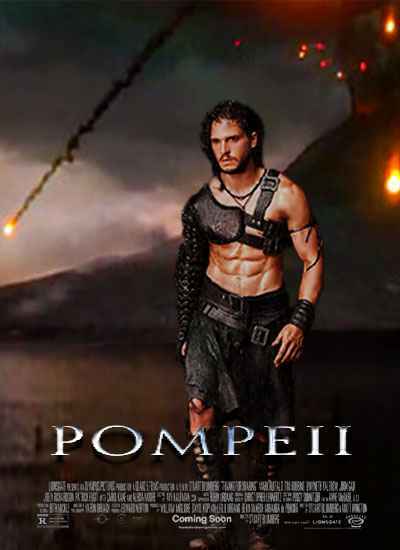 Love him in Game of Thrones too. I’ve responded to your comment on my blog, so will not repeat the whole tale here, but only add a brief precis as to why I’m a bit belated with my response: new puppy + herniated disc. Can you believe?? What a combo…. But I guess there are worse things (minus the back pain) than supine blogging with sweet dozing puppy beside one. Anyway, suffice it to say that I am truly honoured to be chosen by such a brilliant and versatile blogger as yourself, and also to be introduced to so many other fun blogs! Looking forward to posting my own list-of-10 shortly…. (and naturally if it weren’t impossible to pay it backward in this awards process, you’d be at the very top of it!). Favourite Abba song? Oh, and ever tell Durwood Reddick? How sweet. Mine changes. Lay all your Love on Me is top but Winner Takes it All and Take a Chance are always up there. I really like LAYLOM too. It has this amazing hymn-like structure and sound. so … what’s this about Scarlett’s pecs ? I’m actually not that big a fan of abs, but there is something entertaining about the cultural obsession with them.